Are you a Kenya Certificate of Secondary Education (KCSE) holder who has not yet enrolled into a college? Did you miss the last placement to diploma and certificate courses? The Kenya Universities and Colleges Central Placement Service (KUCCPS) is once again inviting you to apply for a diploma or certificate course of your choice in National Polytechnics, Technical Training Institutes or other Technical and Vocational Education and Training (TVET) institutions. ASK Mombasa Show opened on 29th August 2018 and ran until the 2nd September 2018. KUCCPS focus in this year’s show was to guide students on the application process for TVET courses. 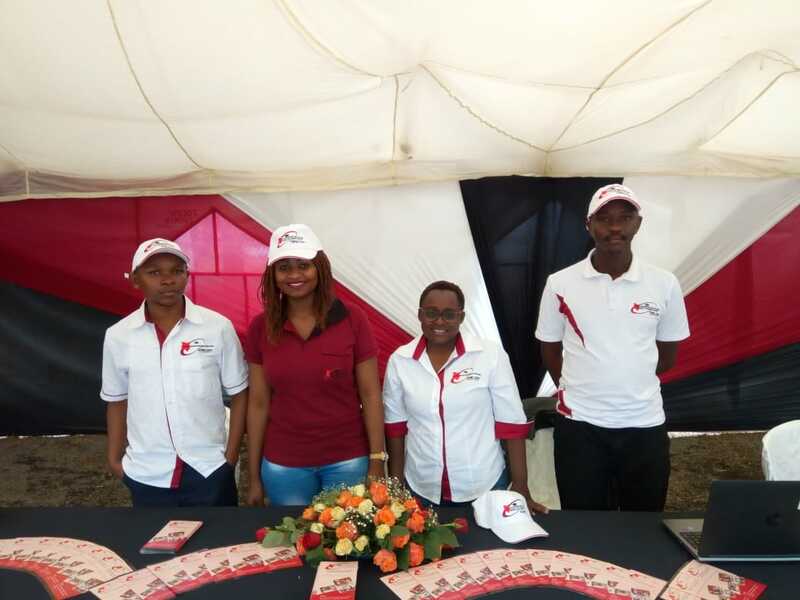 We called on all current and past KCSE students, parents and teachers to take advantage of the opportunity by visiting our stand at the Mombasa ASK Show ground for a practical demonstration on how to apply for various degree, diploma and certificate courses. The Kenya Universities and Colleges Central Placement Service is pleased to announce extension of applications deadline of those who wish to join National polytechnics, Technical training institutes and Technical Vocational Colleges. The deadline has been extended to Saturday 18th August 2018, and the application is done online through our official website (students.kuccps.net) log in, apply and submit the applications. The Kenya Universities and Colleges Central Placement Service (KUCCPS) is a Semi-Autonomous Government Agency mandated to coordinate the Placement of Government Sponsored Students to Universities and Colleges. This is done through career guidance and placement to training institutions for certificate, diploma and degree courses. Applications for courses are submitted online through the Student’s Portal which can be accessed through the KUCCPS website www.kuccps.a.c.ke. The Kenya Universities and Colleges Central Placement Service (KUCCPS) is in Kisumu! We take pleasure in inviting you to our stand at the Kisumu ASK Show that is ongoing at the Mamboleo Show Ground. Visit us today for information on placement to certificate, diploma and degree courses and our officers are ready to answer your questions. The show ends on July 28, 2018. Karibuni! Mr. Joe Ager has assumed office as Chairman of the Board of the Kenya Universities and Colleges Central Placement Service (KUCCPS), following his appointment on July 13, 2018. Mr. Ager met the KUCCPS Management, led by Chief Executive Officer John Muraguri, during a strategic retreat in Nyahururu on Wednesday, where he expressed enthusiasm in working with the team. Our attention has been drawn to a message being circulated through WhatsApp regarding the Government fee subsidy for students applying for courses in National Polytechnics and Technical Training Institutes through the Kenya Universities and Colleges Central Placement Service (KUCCPS). Education Cabinet Secretary Amina Mohamed has released the placement data for the 2018/2019 cycle. The data contains details of the courses and universities/colleges that the 2017 KCSE candidates and those from previous years have secured following their application for placement to degree, diploma and certificate programmes under Government sponsorship.